Go on, admit it. 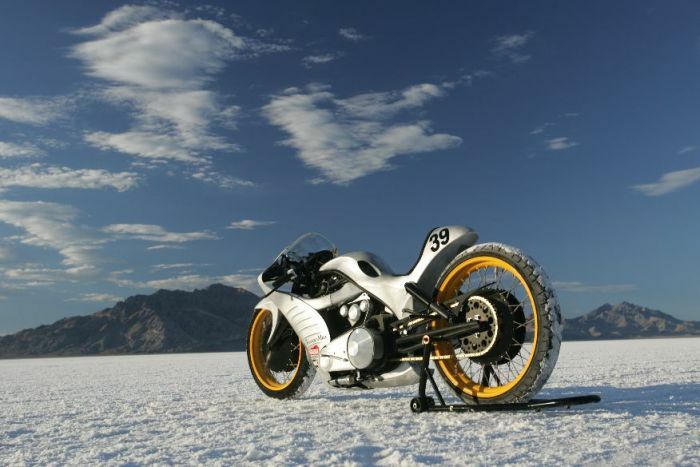 You saw that ‘World’s Fastest Indian’ movie all those years ago and you now secretly dream of taking a bike to the salt flats and twisting the throttle until it won’t twist any more. Just you, the salt, the sky and the speed. The endless speed. 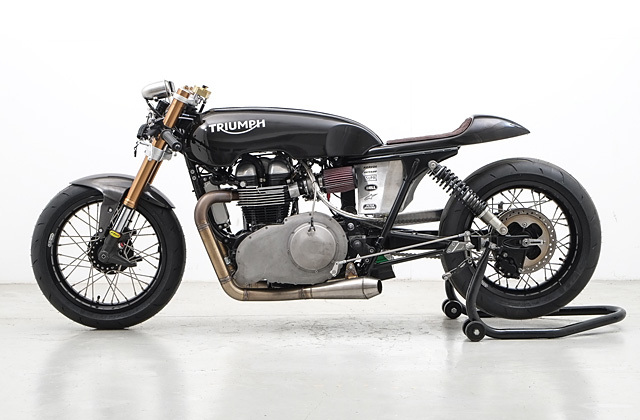 Well, today’s bike was made by a bunch of crazy Aussies who’ve clearly got too much salt in their diet and a big problem with impulsive behaviour; if you can call two years of hard work and untold thousands of dollars ‘impulsive’. 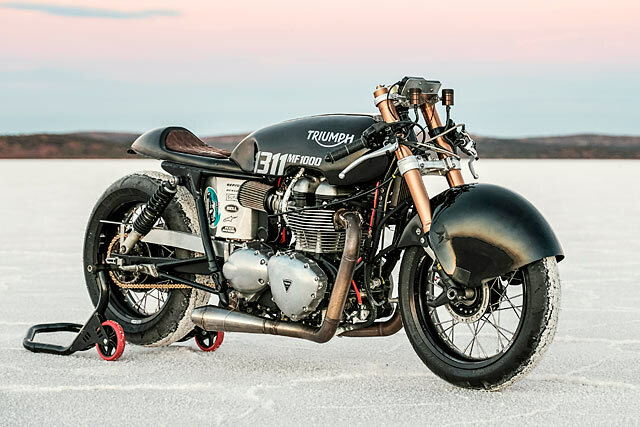 Introducing the new Australian speed record-breaking Triumph Salt Racer. “If something’s worth doing, it’s worth doing well.” That’s what my Dad often says. But quite obviously, my Dad has never met Pennsylvania’s Dan Daughenbaugh. And if he had, he would undoubtedly have even more sage-like advice to dispense on exactly how Dan is going about his attempt at a world land speed record. There’s the barbecued third-hand engine. 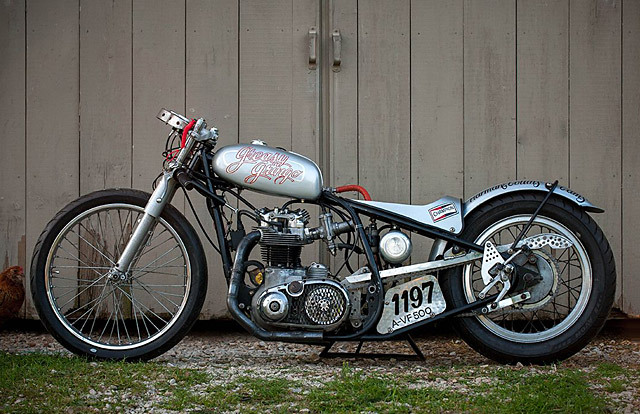 The less-than-perfect welds and the drain pipe exhausts. And let’s not forget the tangled mess of un-aerodynamic cabling right up there where the wind hits the bike. But you know what? 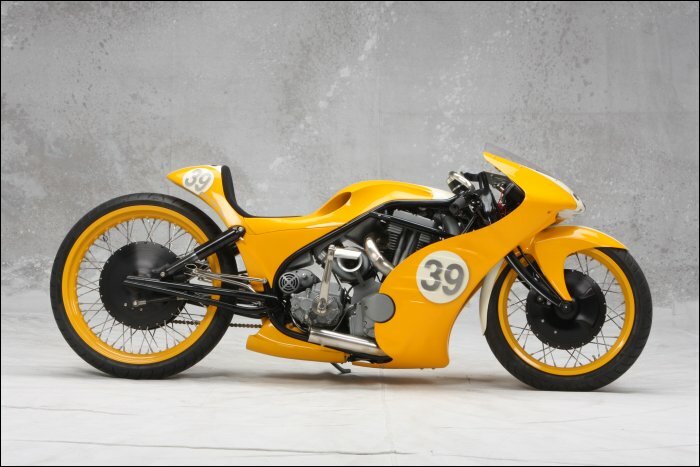 If I were to attempt to build and run a land speed bike of my own, this is exactly how I would want it to be. What’s that, Dad? Sorry, I can’t hear you over the roar of the crowd celebrating my amazing victory.